Happy Monday! I hope everyone survived the storms yesterday. I know that the Playhouse in the Park moved folks into the rehearsal hall for safety at one point … crazy stuff! 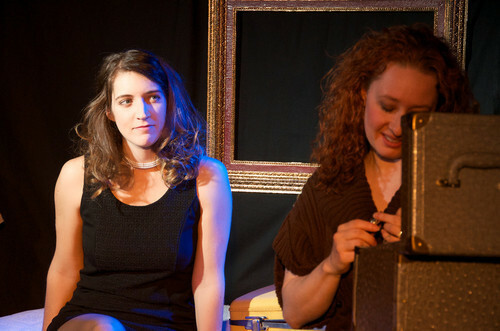 Last Thursday, I had the pleasure of photographing the final dress rehearsal of “The House of Yes” by Untethered Theater. I didn’t know much about the show before I saw it and I won’t ruin it for you, but trust me when I say that it is very dark, shocking, uncomfortable, and very very funny. The cast – especially Christine Dye, MaryKate Moran, and Josh Steele – made me laugh out loud multiple times. Mindy Heithaus and Carter Bratton were really great, too. I was ashamed of myself for laughing, but it was very very funny. You really need to see the creative set, too! The League of Cincinnati Theaters has recommended it based on panelist’s votes. Check it out at the Clifton Performance Theater. Tickets are available here. Also recommended by LCT this weekend was “A Complete History of Comedy, Abridged” at the Playhouse in the Park. This three-man show is getting rave reviews. Tickets are available here. I had the pleasure of seeing “42nd Street” at Ball State University on Saturday. I love me some tap dancing and they did not disappoint. The leads were all strong and the energy was lively and fun both from the stage and from the very appreciative audience. It was a good weekend! Several shows are opening this week, including “Gruesome Playground Injuries” at Miami University. It debuts on Wednesday evening. Tickets are only $7 and are available at the Miami University Box Office. More information on this show is available here. Thursday night brings the opening of NKU’s “As You Like It.” All the info on this one can be found here. 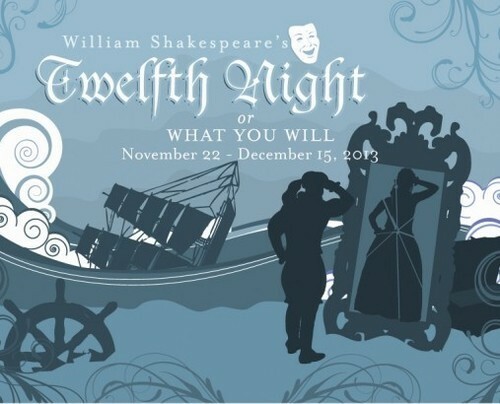 Then on Friday, Cincinnati Shakespeare opens its next show, “Twelfth Night.” (It previews on Wednesday and Thursday.) This gender-bending classic features many of my favorite Shakespeare company folks, including Billy Chace, Miranda McGee, and Brent Vimtrup whom I really enjoyed in “The Crucible” a few weeks ago. Also, I just saw recent Wright State graduate Justin King is in the cast; its so much fun for me to see folks hone their craft in college productions and then make it on to professional stages in the area. Tickets for this show will surely go fast, but you can get yours here. Looking ahead a little, Cincinnati Shakespeare will produce its annual tradition, “Every Christmas Story Ever Told.” I saw this several years ago when the produced it at Arnold’s and laughed so much… and was impressed with the irreverence they had for Christmas but the love and respect they showed the season, too. It’s a good show and tickets will definitely go fast. Get them here. I’ll plan to head to Wright State University on Sunday to catch “The Wild Party,” which is getting good buzz and then book it back down to UC to catch “Duke Ellington’s Nutcracker Suite.” I’ve also got tickets coming up for “A Christmas Carol” at the Playhouse and “White Christmas” at the Greater Hamilton Community Theater soon. So much good holiday themed theater coming our way …and I’ll preview it more in detail soon. So, what are you doing this week to support local theater, performers, and shows? GET OUT AND SEE A SHOW! Kirk Sheppard is a panelist with the League of Cincinnati Theaters and a lover of all things theatrical. He’s also a photographer, musician, professional counselor, blogger, amateur magician, and more. To contact him, email kirksheppard@thesappycritic.com.